Since Nancy was a witch from Salem, she knew of the old days, and relished a historical, and often hysterical, setting with her charming cat, Satan! Some say the cat was played by producer Alonzo Deen Cole MEOW! John Dunning in his On the Air, The Encyclopedia of Old Time Radio," relates the odd tale of getting the replacement for the original Nancy, Adelaide Fitz-Allen, who died at 79 in 1935. 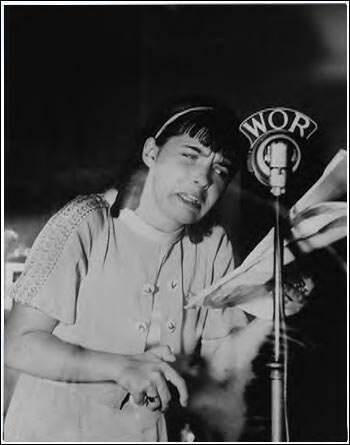 A radio veteran, only a mere 13 years old, Miriam Wolfe by name, was then on the fine children's program, Let's Pretend. Of course, she wasn't considered for the part. She stayed in the studio during a late-night broadcast by Witch's Tale writer/director, Alonzo Deen Cole, and began her "Nancy" without warning. Cole was so chilled by her mimicry of an ancient crone that she got the part on the spot. 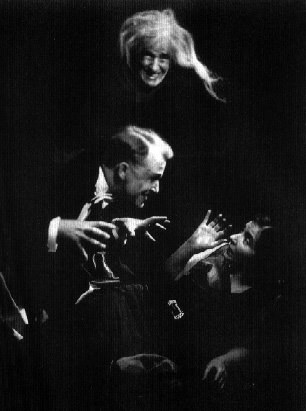 Later in the show's run, the role was taken by Martha Wentworth. 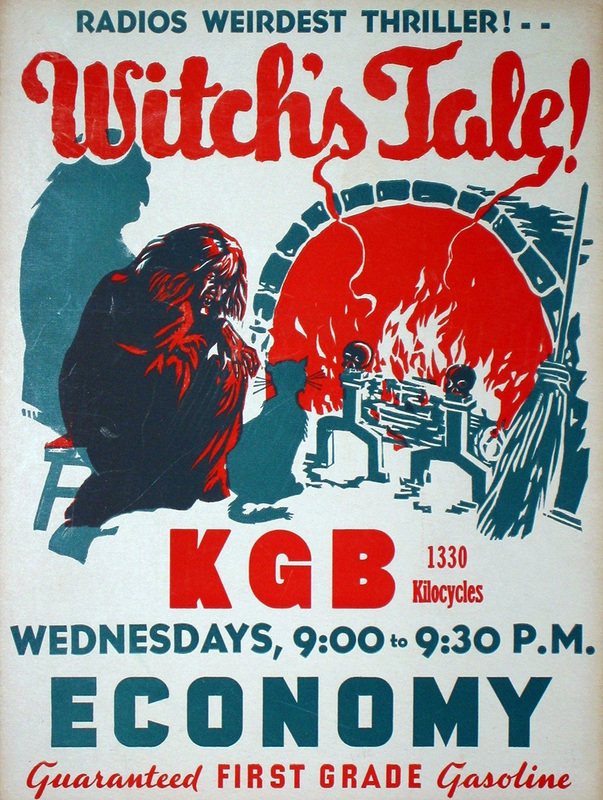 The Witch's Tale was sometimes forced and obvious, but the good New York radio actors, ably directed by Roger Bower, transcended the occasional clunky scripting to be generally quite bold and horrifically enjoyable. The classical music used as interludes for commercials adds some class and charm to the preternatural proceedings. 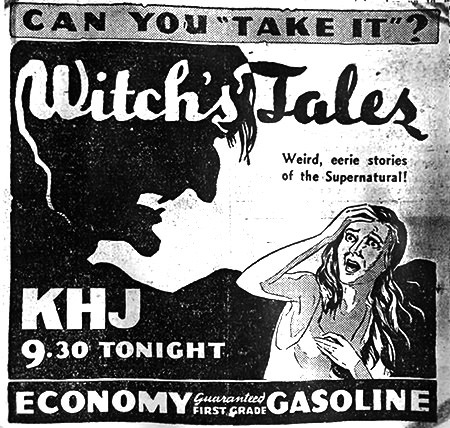 The scripts would sometimes use famous horror tales, such as Frankenstein or the Flying Dutchman. The show enjoyed popularity both the New York regional and Mutual national runs. As a sidelight, a version of the show is included in this compilation. But real fans would scream that they don't hold a candle to Old Nancy! When she started her spiel to Satan's bawling (one wonders who did the cat role) - the mood was right for another fright! Old Nancy was certainly the horror hostess with the mostess in those days. Why, today, she'd be crowing about being "183, I be today, 183." Be that as it may, you can now revisit her in her younger years, when she was just pushing the century mark. For other horror hosts, listen to favorites such as Raymond, of the Inner Sanctum, the Man in Black of Suspense, The Whistler, Mysterious Traveler, and The Strange Dr. Weird. See also Quiet Please, Dark Fantasy, Escape, Lights Out, Mystery in the Air, Weird Circle, and The Unexpected. Be the first to comment on "Witchs Tale"